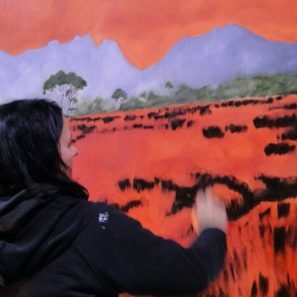 My current project involves creating and presenting a new body of work consisting of a series of Oil paintings of the Australian landscape entitled “Full Circle”. 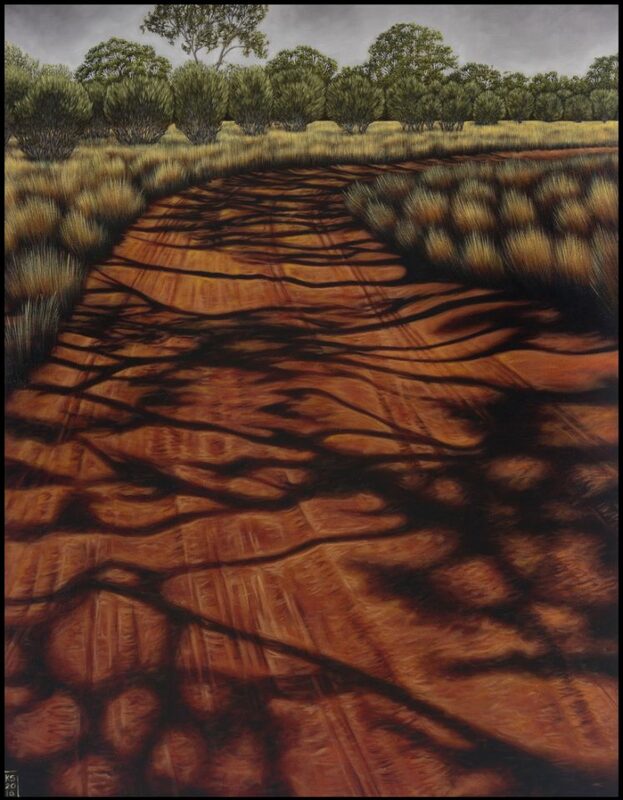 My current project involves creating a new body of work consisting of a series of Oil paintings of the Australian landscape entitled “Full Circle”. The connecting thread of the work is the changing face of the landscape: modern farming practices, human settlement and habitat reduction, the impact of climate change, introduction of weeds and non native fauna and flora. 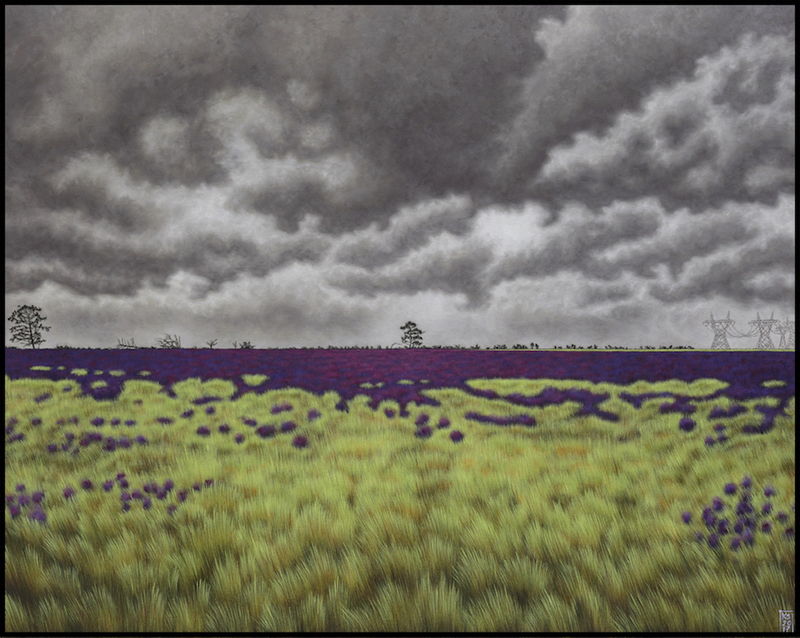 The work will then be presented at Manningham Art Gallery from July 11 th until August 11th, 2018. Whilst on show at Manningham Gallery, I am expected to deliver a public program that consist of at least one floor talk and one work shop. We live in a time where we are bombarded with images on a daily basis, digital, moving, loud. I envisage the work I am presenting this year to promote a more meditative, and peaceful atmosphere that invites the viewer to stop and connect. And, to contemplate the questions I am asking in my work. I believe this project to be truly transformative for my career. The project will expose my work to a much wider audience than what is possible in a commercial gallery. This would have a considerable effect on my career and practice. I am the mother of a 5-year-old son with Down Syndrome and I have managed to balance both his additional needs as well as my painting career thus far, even with less time and less money than before. I am seeking funding for this project to present this new body of work appropriately at the time of exhibition. This will include, framing costs, transport to and from the studio to the galleries, administration and promotion expenses (for example: catalogue production and opening invitation), the cost of the exhibition opening, and gallery fees. 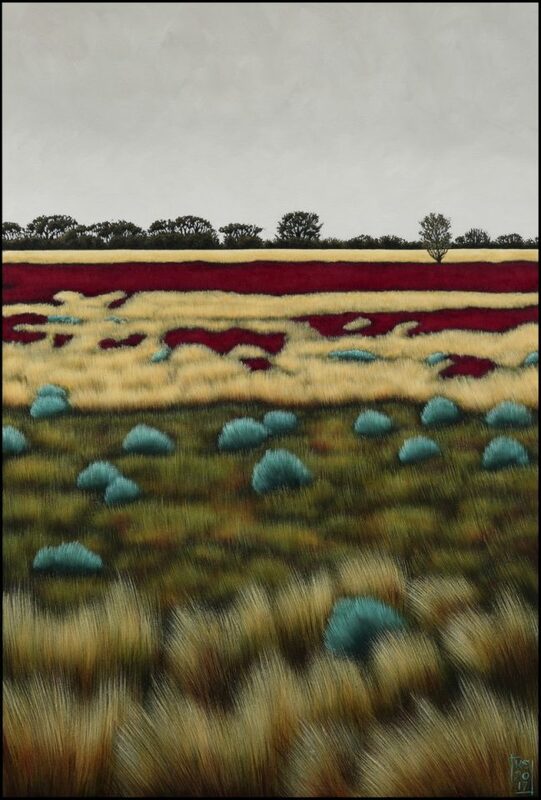 Karens paintings are informed by thorough research into the changing face of the landscape and the impact of climate change, introduction of weeds and non native fauna and flora. 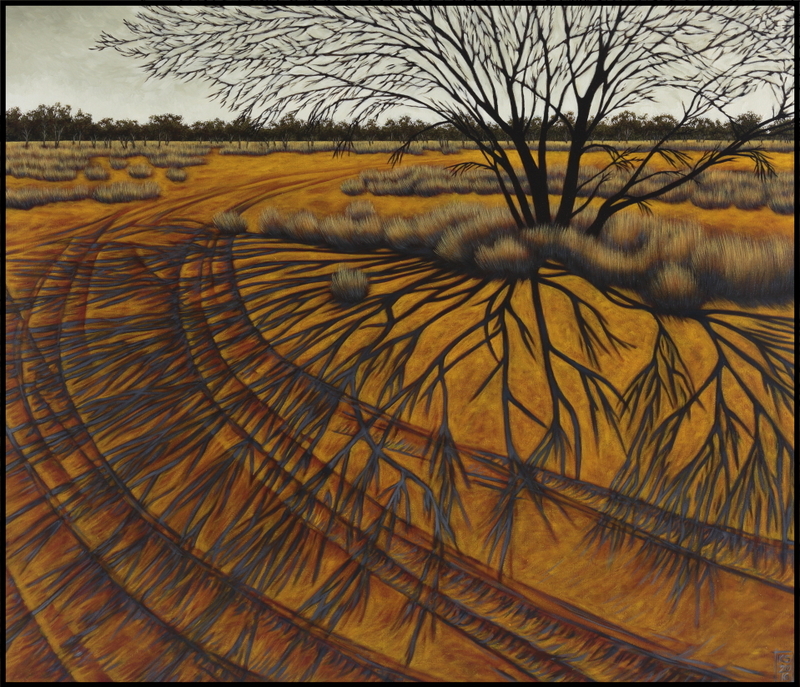 the loss of the native Spinifex plants around Amoonguna in the Northern Territory, replaced with the introduced Buffel Grass, resulting in 95 % loss of biodiversity in the area. 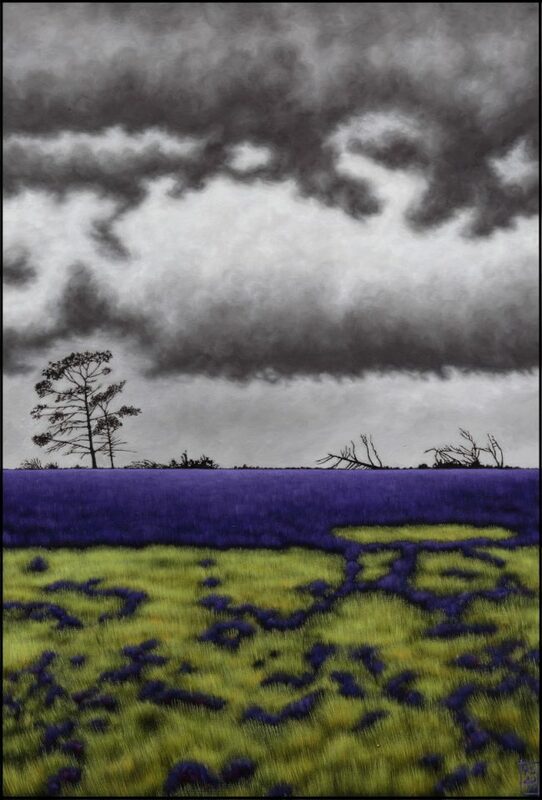 Karen’s work focuses on the change in the environment – thus raising the question, how do we respond emotionally? how do we respond practically to these challenges? It is this juxtaposition that she is most interested in, informed by psychology, politics, religion and science.